We often focus on what we can see: our skin. Our weight. Even our hair and nails (which have become a symbol of beauty because they were first a symbol of health). And, actively or not, on unseen but felt tangibles that our with us all day long: our energy, our outlook on life, feeling good. But we often forget about something that is at the center of all those things: our gut. Sure, we may think about what we eat, but what’s going on in your digestive tract influences everything from your brain to your toes several different ways—and it deserves daily support for the job it does! It’s all about supporting and cultivating a health gut, because more and more evidence says that’s what’s really shaping the big picture! Your gut does so much that breakdown food and absorb nutrients. It hosts a microbiome of friendly bacteria, which have huge and important influences well beyond the digestive tract—including our mood, our weight, even some of our impulses! Then there’s how our food influences us: it can be a source of illness, impact our pH balance, and the combination of everything going on can even impact our hormones, which can have a wide range of consequences themselves (weight, headaches, skin changes, and mood, for starters). All of that together is some pretty complex stuff going on (and you can see how it can overlap and get either a lot better, or a lot worse! )—and we often take what we eat/how we digest for granted. Get some complex support for your gut: Humic and Fulvic minerals aren’t just minerals: they also contain probiotics, prebiotics (which help cultivate good probiotics), fatty acids, and electrolytes. It’s more than just a mineral supplement that replenishes major and minor/trace minerals, it supports overall gut health. Why is that necessary? How humans interact with our environment have and continues to change. We’ve over-farmed our soil, depleting its nutrition. The next generation of farming will likely be near-sterile, which is great if you want to solve world hunger by keeping food fresh weeks longer as it ships, but is taking away our exposure to likely necessary probiotics (and at this point we don’t even kind of know enough about different strains and mixtures of strains to say how this will affect us!). 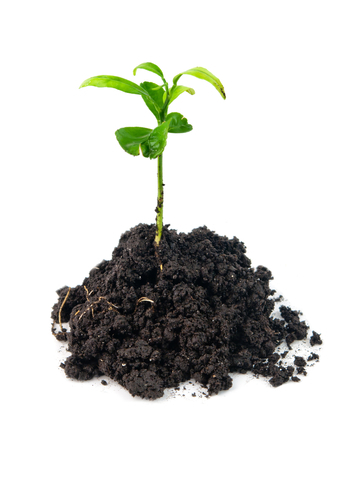 Humic and Fulvic minerals are sourced from rich soil that’s made up of fossilized bits of nutrient rich, ancient trees. It provides a rich and complex array of nutrients and needed support from soil that we’re no longer getting naturally. If you want more support, add in some Spirulina. It’s an algae that’s a natural source of iron, protein (it’s got a complete set of amino acids), vitamins, powerful antioxidants, enzymes and more. It’s a good complement to Humic and Fulvic minerals, especially if you’re worried about improving your nutrition and digestion! Or if you’re following all the latest research on probiotics, support your own microbiome against poor dietary choices, environmental changes, antibiotics, and more with Flora MGR.